Falling autumn leaves are a boon for organic gardeners - a rich source of nutrients for the forthcoming spring's planting. But if you don’t have a compost bin, or the one you have is small, the number of leaves shed by even one small tree can be overwhelming. 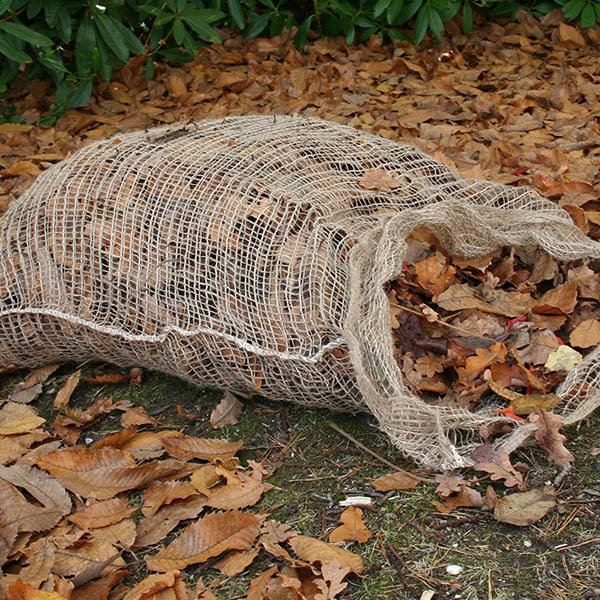 These loose weave jute sacks can hold thousands of fallen leaves and keep them contained until they break down. Just fill the sack, leave it in a corner of the garden and forget about it. 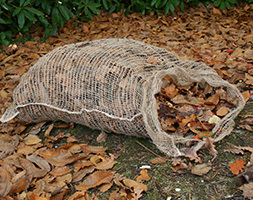 In time, the leaves and sack will both biodegrade, leaving you with that cornerstone of green gardening - wonderful compost. After one year, the leaves should have rotted down enough to use as a mulch around the garden, and after two years you should have a perfect soil conditioner.